How would you like to build your dream business and acquire the lifestyle and business that you deserve? My guest Jim Palmer is a marketing and business building expert and in demand coach. He is the founder of the Dream Business Academy and Dream Business Coaching and Mastermind Program. He hosts Dream Business Coach TV, the hit weekly Web TV show watched by thousands of entrepreneurs and small business owners and he is also the host of Stick Like Glue Radio, a weekly podcast based on Jim’s unique brand of smart marketing and business building strategies. Jim is known internationally as the creator of No Hassle Newsletters and walks the talk as he actually lives on board a yacht. As I type, moored off Rhode Island, New England! Join us for great ideas and inspiration to help you build your dream lifestyle and business. 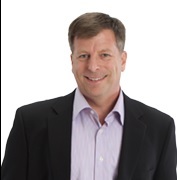 Jim Palmer is a marketing and business building expert and in demand coach. He is the founder of the Dream Business Academy and Dream Business Coaching and Mastermind Program. Jim is the host of Dream Business Coach TV, the hit weekly Web TV show watched by thousands of entrepreneurs and small business owners and he is also the host Stick Like Glue Radio, a weekly podcast based on Jim’s unique brand of smart marketing and business building strategies. Jim is known internationally as the creator of No Hassle Newsletters, The Ultimate ‘Done-for-You’ newsletter marketing system used by hundreds of clients in nine countries.